A 90-Day Trade War Ceasefire – Who Blinks First, President Trump Or President Xi? 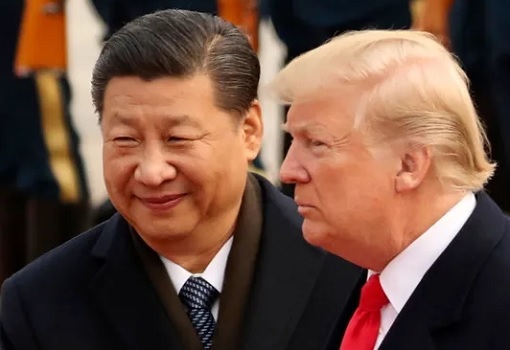 Dow Jones Industrial Average (DJIA) futures skyrocketed 463 points after the world’s two biggest economies – United States and China – agreed to a ceasefire on their bilateral trade war at the G-20 summit in Argentina. Stocks in Asia, as do commodities like oil and copper, also jumped higher on hopes a possible new China-U.S. trade agreement would boost global economic growth. 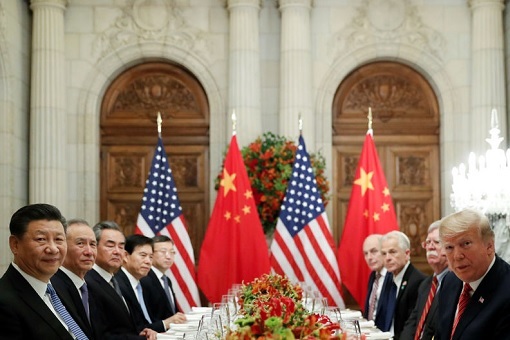 Apparently, at a working dinner table, U.S. President Donald Trump and Chinese President Xi Jinping agreed to hold off on additional tariffs on each other’s goods – for a period of 90 days. The cooling-off period was agreed upon so that both countries could hold talks to resolve existing disputes, a trade war started by the United States over allegations of unfair trade practises. So, who actually blinks first? The dinner between the two leaders in Buenos Aires over sirloin steak, vegetable salad with a basil mayonnaise, and caramel rolled pancakes lasted for nearly two-and-a-half hours. That was one heck of a serious meeting. And we know they were going to strike a deal, otherwise by bother wasting time at all? Prior to the face-to-face meeting on Saturday, Trump’s top trade negotiator, Robert Lighthizer, has announced that Beijing had done little to fix top U.S. concerns related to technology transfers, intellectual property (IP) and innovation in his updated report of the U.S. government’s investigation of China’s unfair trade practices. Before he departed for Argentina, Trump hinted that both countries were “very close” to striking a deal, but quickly said – “But I don’t know if I want to do it, because what we have right now is billions and billions of dollars coming into the United States in the form of tariffs or taxes. Frankly, I like the deal we have right now.” So, Trump didn’t sound like he’s going to give up at all. Then, bang!! 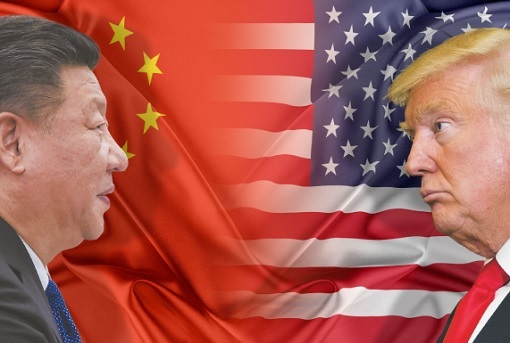 The Trump Administration has slapped US$250 billion of Chinese goods with tariffs since July, and China has retaliated by imposing duties on US$110 billion of U.S. products. But at the G20 summit, President Trump has agreed that on January 1, 2019, he will leave the tariffs on US$200 billion worth of product at the 10% rate, and not raise it to 25% when it is supposed to. Exactly why did Trump agree with the 90-day truce, on top of putting a stop to the tariff hike from 10% to 25% effective on the first day of New Year 2019? Did China agree to open up its market? Nope. Did China agree to respect the IP (intellectual property)? Nope. Did China agree not to force U.S. companies to transfer technology? Nope. Ahh, but China agreed to purchase a not yet agreed upon – but very substantial – amount of agricultural, energy, industrial, and other product from the United States to reduce the trade imbalance between our two countries. But wasn’t that exactly what the Chinese had promised to do months ago, before Trump imposes tariffs on US$250 billion of Chinese goods before July? So, it appears everything has gone back to the square one. China has pretty much given up nothing in this deal because buying more soybeans from American farmers was what the Chinese told Trump they would do in the first place. You don’t need a rocket scientist to conclude that American farmers have been putting truckloads of pressure on their president. 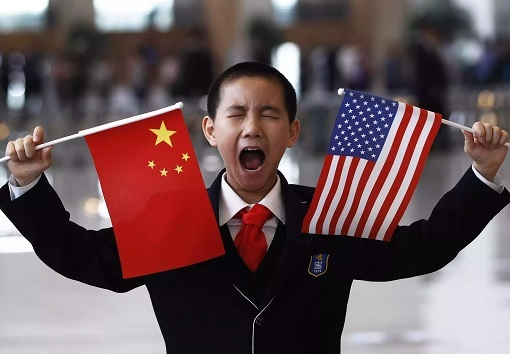 If it was true that the U.S. is winning, why can’t President Trump proceeds with the 25% tariff hike (on January 1, 2019) anyway and forces the Chinese to buy American soybeans at the same time or else would be slapped with tariffs on all of China’s exports to the United States – for a total of US$505 billion? Didn’t Trump say trade wars are good and easy to win? White House reportedly called President Xi Jinping a “wild card” – that he’s difficult to predict and it’s hard to get a clear sense of what the Chinese officials were thinking. Sure, on paper, it seems President Trump is winning, giving a last warning – which he didn’t have to – before increasing tariffs on the US$200 billion of goods from 10% to 25%, if no deal at the end of the 90-day grace period. But the burning question is whether China was serious in its commitment to making any substantive changes to the U.S. complaints that justified the tariffs postponement. The world has seen the U.S.-China trade war entering its eighth month and why would the Chinese rush to do everything in compliance to the U.S.’ demands now, when they didn’t bother to fix the problem all this while? The funny thing is while Trump has started the trade war under the pretext of cutting the huge trade deficit with China, the conflict never succeeded in fixing the problem. In fact, China’s trade surplus with the United States widened to a record in August, hitting a surplus of US$31.05 billion in that month, up from US$28.09 billion in July. Did President Xi blink first by agreeing to buy more from the United States? Not at all considering the Chinese agree to only buy what they needed, not what the U.S. wanted them to. Trump may call it an incredible deal, but the deal could be nothing but a face-saving plan to temporarily suspend the escalation of the trade war, which of course also benefitting the Chinese. 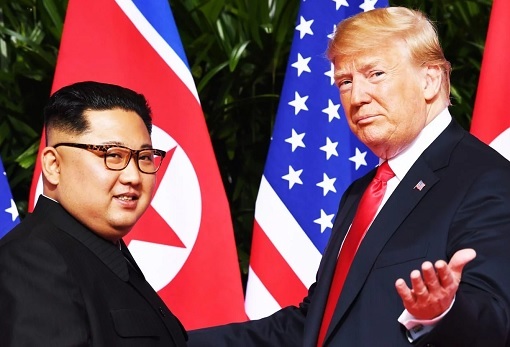 As a sweetener, Beijing agreed to grant Washington the “permission” to meet North Korean Leader Kim Jong-un – for a second time – in January or February. Beijing also agreed to designate Fentanyl as a controlled substance, a measure that the U.S. described as a “wonderful humanitarian gesture”. The opioid – much of it believed to be made in China – is driving a huge rise in drug addiction in the United States. Chinese Foreign Minister Wang Yi revealed the U.S. had agreed to stick to the one-China policy regarding Taiwan. 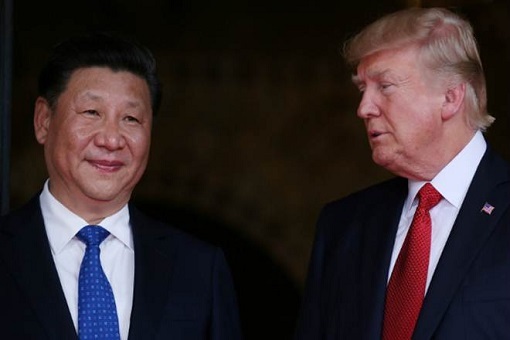 Those who walk the corridors of power believe Trump has gone soft – even desperate – for a deal with China after the Republican’s loss of the House in last month’s elections and stock market losses over the past several months because of concerns stemming from the trade war. Adding salt to injury, the Robert Mueller’s Russia investigation has put Trump in a very unfavourable position should the president decides to run again in 2020. A recent report from Monmouth University reveals that close to 60% of Americans do not want to see Donald Trump re-elected in the 2020 presidential election. China will make some minor adjustments to its policies, but don’t expect a complete reform. Xi blinked first. Trump not even bothered to take G20 ‘family’ photoshoot. Go Trump! Good for you. Good for America. Good for the world! Globalists and their One World Order can go fcuk themselves. Good that France has woken up. The American farmers are going bust and blame Trump for it. Trump has lit a dynamite under his own chair. Meanwhile, Brazil, Argentina and Russia are getting ready to plant more soybeans for China, displacing USA as the top exporter of soybeans. A few months down the line, everyone will be lining up to sell soybeans to China. The price will drop but Trump has already screwed himself long term. China already made it clear that they only retaliate when US strike first. The G20 side-negotiation and 90-days hiatus only benefits Trump after the US stock market free fall. China should stand fast and don’t let team Trump giving the world the impression that they are walking all over team Xi.